Hands-On Learning. One of my favorite opening-day activities was a hands-on approach to learning. My co-teacher and I set out historical artifacts in brown paper bags at different tables and had students in groups of four try to guess what each artifact was. They had about five minutes to examine the artifact, fill out a chart asking them to identify the material(s) used to create the artifact, time period they think it was from, and what they thought the purpose of the artifact was. They worked collaboratively to try to find the answers. After five minutes, groups would rotate to a new station. Students were so engaged in guessing what items were, I don’t think they realized they never got a chance to sit down. After six or seven rotations, students would share their findings with the class. Then, we had the big reveal. Have you figured out what the artifact pictured above is? 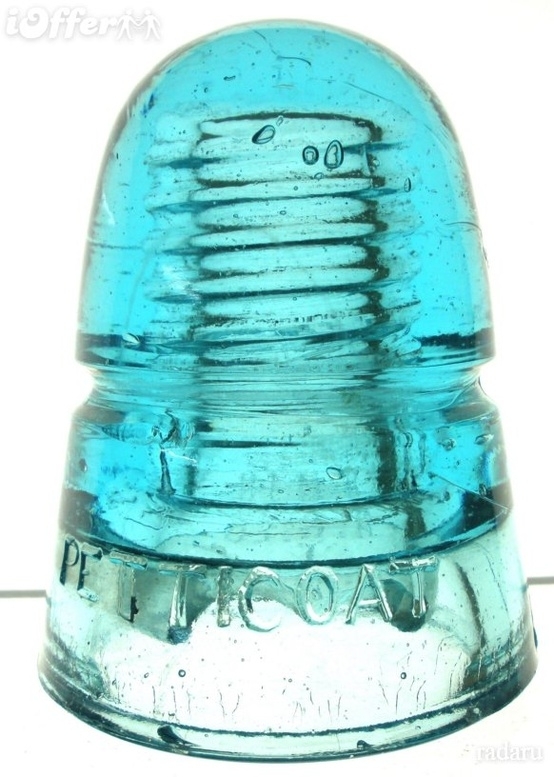 It’s a glass insulator from a telephone pole. Students rarely got this one. And, since I was a history teacher, it was a natural segue into a conversation about electrification, the industrial revolution, and westward expansion. Raid your attic, go to a swap meet, or visit a garage sale. In about an hour, you’ll have a collection of artifacts that will have students scratching their heads and asking, “what is this!” To date, no student ever figured out that this was a Victorian Age knife rest. Generative Learning. Try starting off the first day with a problem. Generative learning is at the root of problem- and project-based learning. Generative learning is a process where students attempt to solve a problem without the benefit of being taught how. They have to use prior knowledge, their experiences, and new information to arrive at an understanding or solution. Think of the first unit you’ll be teaching this year, or a larger theme, and create a problem for students to solve. Give them 20-30 minutes to work together in groups and let them tackle the task. For inspiration, think of a problem around the framework of a SOLE lesson (Self-Organized Learning Environment), Sugata Mitra’s inspiring (and oft-critized) model for teaching. Can a poem change the world? Why do humans have two lungs? Why was the Gettysburg Address so important? What was Native American society really like before 1492? These are examples of problems that students will struggle with and will need to answer collaboratively. Start the school year with a generative learning task. An added benefit is that it will offer a glimpse of students’ prior knowledge and problem solving capability. For SOLE stories from around the world, visit this SOLE Tumblr. Redesign your first-day plans to feature hands-on, authentic learning experiences for students. Think about it this way: Would I be excited by this lesson? Save time by flipping your expectations and syllabus as these teachers and school have. Have a great first day! Here is a link to download the SOLE Toolkit. The SOLE toolkit is really helpful. Be sure to check it out! I can’t wait to try some SOLE early on. What a great way to pre-assess my students’ history skills.